Home / Children Tips / 5 Easy Way To Get Children To Drink Water. 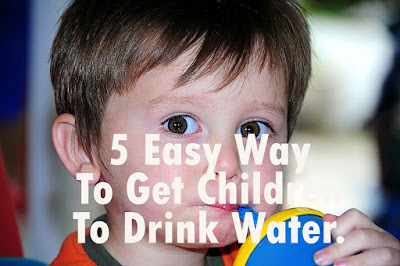 5 Easy Way To Get Children To Drink Water. Typical drinks are consumed by children, usually packaged sweet drinks or milk. This seems to have become a habit and makes us forget that children also need to drink enough water. This is to support good body hydration which will support optimal organ and body system functions. In children, drinking water should be considered as a daily habit. This condition, of course, must go through a process that makes children accustomed to drinking water. Get used to it early. You can get the child to consume water since the child is 6 months old. When the child has seen this age, introduce water to the child, for example after giving MPASI or every 2-3 hours. Increasing the volume of water intake of children according to their age, namely 800-1500 ml for children aged 6 months to 5 years, so that children are more accustomed to consuming water. Next, if the child has begun to understand. You can make a schedule for drinking water for children. This can be done by getting children to drink water after eating, after snacking, or maybe after doing daily activities, such as bathing or playing. Adjust this schedule with children's activities according to their time, for example when they have entered pre-school. This will make children make drinking water a part of their daily activities and habits. Use a cup your child likes. In order for children to be more excited when consuming water, use their favorite drinking equipment. You can choose a glass, cup, or bottle with his favorite color or choose a drink with a picture of your favorite character. This will create a sense of pleasure when the child consumes water. Get a used child to bring water. When going to travel, make it a habit for children to bring water from home. This is good for supporting children accustomed to drinking water and preventing children from choosing sweet drinks when the child is out of the house. Give an example to the child. You also have to show that drinking water must be prioritized and familiarized. Parents are role models and places children see and imitate what they should do.Try to meet your daily water needs by consuming water at regular times, this will indirectly make children accustomed to consuming water.